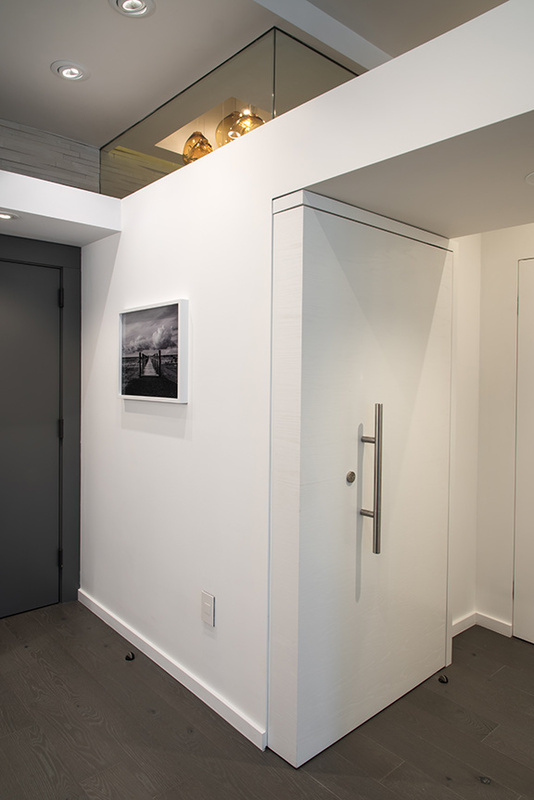 The entry to the chic 30-square-foot powder room is through a flush L-shaped hidden pivot door made of white ash. The homeowner and designer played with the simple combinations of smooth and rough, heavy and light to create a room with visual surprises at each glance. The juxtaposition of the woven wall texture and smooth stone flooring is further accentuated by a floating plaster ceiling, which creates the space for the custom 6-foot amber glass Cascadian fixture. The glass adds color while casting magical shadows against the textured tile walls and hangs over the floating stone-and-black-walnut console. The fixture is immediately noticed through the upper clerestory in the powder room when entering the 2,000-square-foot penthouse. The design was constrained by the fixed perimeter wall and ceiling height as well as plumbing that could not be moved. 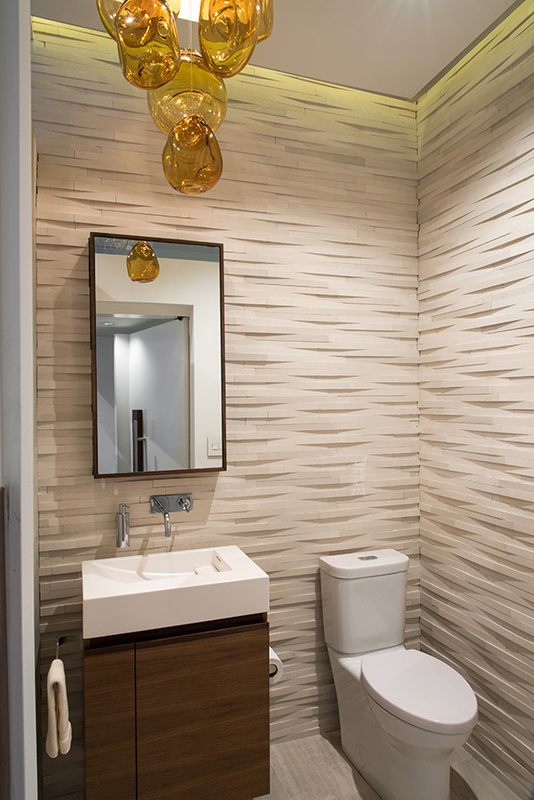 Why the judges love it: This powder room was so well thought out. Modern and cool, the space feels soft despite all of the hard surfaces within. We love the way the custom fixture highlights the variety of textures in the bath.